We explain what investing is, the risks and rewards, and how to start investing. Start investing with as little as £100 for a Lifetime ISA or £500 for a pension, general investment account or ISA. You can set up as many ISA or general pots as you like. Whether it's investing for your children's future or saving for a new home, each pot can have its own timeframe and risk level. How much risk should I take with my investments? We explain how to think about investment risk in terms of risk and reward, your attitude to risk, how much you can afford and your investment goals. We are committed to being open and transparent. 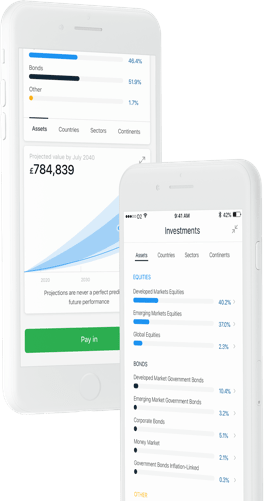 You can view your portfolio online whenever you want to see how it’s performing and where your money is invested. 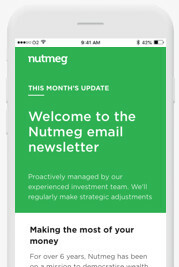 We will communicate with you regularly to keep you informed of the investment decisions we’re making on your behalf. If you ever have questions or concerns, we’re here to help you out by phone, email and web chat. This is known as diversification. Your money is invested in various asset classes, geographies and industry sectors. It spreads the risk on your investments while at the same time improving your chances of having money invested in markets with higher returns.